"Beatrice Potter" redirects here. For the author of children's literature, see Beatrix Potter. Martha Beatrice Webb, Baroness Passfield, FBA (née Potter; 22 January 1858 – 30 April 1943), was an English sociologist, economist, socialist, labour historian and social reformer. It was Webb who coined the term "collective bargaining". She was among the founders of the London School of Economics and played a crucial role in forming the Fabian Society. Beatrice Potter was born in Standish House in the village of Standish, Gloucestershire, the last but one of the nine daughters of businessman Richard Potter and Laurencina Heyworth, a Liverpool merchant's daughter. Her paternal grandfather was Liberal Party MP Richard Potter, co-founder of the Little Circle which was key in creating the Reform Act 1832. From an early age Beatrice was self-taught and cited as important influences the cooperative movement and the philosopher Herbert Spencer. After her mother's death in 1882 she acted as a hostess and companion for her father. In 1882, she began a relationship with twice-widowed Radical politician Joseph Chamberlain, by then a Cabinet minister in Gladstone's second government. He would not accept her need for independence as a woman and after four years of "storm and stress" their relationship failed. Marriage in 1892 to Sidney Webb established a lifelong "partnership" of shared causes. At the beginning of 1901 Beatrice wrote that she and Sidney were "still on our honeymoon and every year makes our relationship more tender and complete". "My Creed and My Craft"
Beatrice Webb left unfinished a planned autobiography, under the general title My Creed and My Craft. At her death, aged 85, the only autobiographical work she had published was My Apprenticeship (1926). The posthumously issued Our Partnership (1948) covered the first two decades of her marriage to Sidney Webb between 1892 and 1911 and their collaboration on a variety of public issues. "desire to describe truthfully her lifelong pursuit of a living philosophy, her changes of outlook and ideas, her growing distrust of benevolent philanthropy as a means of redeeming 'poor suffering humanity' and her leaving of the field of abstract economic theory for the then practically unexplored paths of scientific social research". One of Beatrice's older sisters, Catherine, became a well-known social worker. After Catherine married Leonard Courtney (see Catherine Courtney, Baroness Courtney of Penwith), Beatrice took over her work as a voluntary rent-collector in the model dwellings at Katharine Buildings, Wapping, operated by the East End Dwellings Company. The young Beatrice also assisted her cousin by marriage Charles Booth in his pioneering survey of the Victorian slums of London, work which eventually became the massive 17-volume Life and Labour of the People of London (1902-1903). These experiences stimulated a critical attitude to current ideas of philanthropy. In 1890 Beatrice Potter was introduced to Sidney Webb, whose help she sought with her research. They married in 1892, and until her death 51 years later shared political and professional activities. When her father died in January 1892, leaving Potter an endowment of £1,000 pounds a year, she had a private income for life with which to support herself and the research projects she pursued. The Webbs became active members of the Fabian Society. 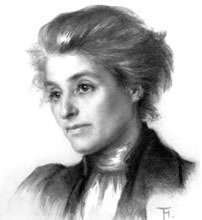 With the Fabians' support, Beatrice Webb co-authored books and pamphlets on socialism and the co-operative movement including The History of Trade Unionism (1894) and Industrial Democracy (1897). In 1895, the Fabians used part of an unexpected legacy of £10,000 from Henry Hutchinson, a solicitor from Derby, to found the London School of Economics and Political Science. 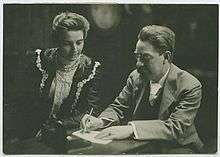 Beatrice Webb made a number of important contributions to the political and economic theory of the co-operative movement. In her 1891 book The Cooperative Movement in Great Britain, based on her experiences in Lancashire, she distinguished between "co-operative federalism" and "co-operative individualism". She identified herself as a co-operative federalist, a school of thought which advocates consumer co-operative societies. She argued that consumers' co-operatives should be set up co-operative wholesale societies (by forming co-operatives in which all members are co-operatives, the best historical example being the English Co-operative Wholesale Society) and that these federal co-operatives should then acquire farms or factories. Webb dismissed the idea of worker co-operatives where the people who did the work and benefited from it had some control over how it was organised, arguing that – at the time she was writing – such ventures had proved largely unsuccessful, at least in ushering in her form of socialism led by volunteer committees of people like herself. Examples of successful worker cooperatives did of course exist, then as now. In some professions they were the norm. However, the Webbs' final book, The Truth About The Soviet Union (1942), celebrated central planning. It was Webb who coined the term "collective bargaining". "secure a national minimum of civilised life ... open to all alike, of both sexes and all classes, by which we meant sufficient nourishment and training when young, a living wage when able-bodied, treatment when sick, and modest but secure livelihood when disabled or aged." William Beveridge, future author of the 1942 Beveridge Report that introduced the Welfare State in the United Kingdom, worked as a researcher for the Webbs on the Minority Report. He was later appointed director (1919-1937) of the London School of Economics. The influence of the Webbs on the Fabian Society and its policies were attacked by H.G. Wells. For a time he joined the Society but was critical of its cautious approach: "They permeate English society with their reputed Socialism about as much as a mouse may be said to permeate a cat". For her part, Beatrice voiced disapproval of Wells' "sordid intrigue" with the daughter of a veteran Fabian Sidney Olivier. He responded by lampooning the couple in his 1911 novel The New Machiavelli as 'Altiora and Oscar Bailey', a pair of short-sighted, bourgeois manipulators. Other rivals from the left of the Fabian Society at that time were the Guild Socialists led by the historian and economist G.D.H. Cole. Cole and his wife Margaret would later run the Fabian Research Bureau. In 1913, the Webbs co-founded the New Statesman, a political weekly edited by Clifford Sharp with contributions from many philosophers, economists and politicians of the day, including George Bernard Shaw and John Maynard Keynes. The Webbs became members of the Labour Party in late 1914. At the end of World War I Beatrice collaborated with her husband Sidney in his writings and policy statements such as Labour and the New Social Order (1918). She also campaigned for his successful election in 1922 to the parliamentary seat of coastal Seaham, a mine-working community in Northumberland. The USSR - "A New Civilization?" In 1928 the Webbs moved to Liphook in Hampshire, where they lived until their deaths in the 1940s. Soon Sidney was a minister in the new Labour government. Observing the wider world Beatrice wrote of "Russian communism and Italian Fascism" as "two sides of the worship of force and the practice of cruel intolerance" and she was disturbed that "this spirit is creeping into the USA and even ... into Great Britain." The frustrations and disappointments of the next few years — the election of a narrow Labour majority of MPs in May 1929, the Great Depression which began later that year, the agreement of fellow Fabian Ramsay MacDonald, after the October 1931 election, to form and head a National Government, thereby splitting the Labour Party — partly explain why Beatrice and Sidney began to look on the USSR and its leader Stalin with different eyes. In 1932, Webb was elected a Fellow of the British Academy (FBA); she was the first woman elected to the fellowship. That year, Sidney and Beatrice, now in their 70s, spent two months from 21 May to late July in the Soviet Union. Their views about the Soviet economic experiment were published three years later in a massive volume, over 1,000 pages in length, entitled Soviet Communism: A New Civilisation? (1935). Most of the text was written by Sidney Webb and based on copious study of publications and statistics provided by the Soviet embassy in London. In 1933 he made a further "fact-finding" trip to the USSR before publication, accompanied by their niece Barbara Drake, a prominent trade unionist and member of the Fabian Society, and by John Cripps, the son of their nephew Stafford Cripps. Historians have criticised the Webbs for the naive supposition that the methods they had developed in analysing and formulating social policy in Britain could be applied to the Soviet Union. Their book promoted and encouraged an uncritical view of Stalin's conduct, during the brutal collectivisation of agriculture in the First Five Year Plan (1928-1933), the creation of the gulag forced labour system, and the extensive purges of the 1930s. At the time Trotskyist historian Al Richardson described their 1935 account of the USSR as "pure Soviet propaganda at its most mendacious". There was also a conscious element of deception. In the third edition of Soviet Communism: A New Civilisation (1941), for instance, the Webbs voiced the opinion that in 1937 "strenuous efforts had been made, both in the trade union organisation and in the Communist Party, to cut out the dead wood". This phrase was used to deceive and reassure a wider public about the grotesque accusations against former leading Bolsheviks. In her diaries Beatrice did not hide her disquiet, at the opening of the Moscow Trials in the summer of 1936, and after the conviction of Nikolai Bukharin in March 1938. Soviet Communism: A New Civilization — in later editions the question mark was dropped, as was any public doubt the Webbs might have about the nature of the USSR — has since been roundly condemned. In the preface to an anthology of Left Book Club publications, for instance, British historian A. J. P. Taylor called it "the most preposterous book ever written about Russia". In the early 1930s Malcolm Muggeridge, one of Beatrice's own family by marriage, and himself the son of a Fabian, told her in no uncertain terms of his horrified disapproval of the Soviet system. In 1929 Webb's husband, Sidney Webb, became Baron Passfield and a member of the House of Lords. Between 1929 and 1931 he served as Secretary of State for the Colonies and Secretary of State for the Dominions in Ramsay MacDonald's Labour government. Beatrice did not refer to herself as Lady Passfield or expect others to do so. "In old age it is one of the minor satisfactions of life to watch the success of your children, literal children or symbolic. The London School of Economics is undoubtedly our most famous one; but the New Statesman is also creditable – it is the most successful of the general weeklies, actually making a profit on its 25,000 readers, and has absorbed two of its rivals, The Nation and the Week-End Review". Meanwhile, the connections by marriage of their numerous nieces and nephews made Beatrice and Sidney part of the emerging new Labour establishment. Beatrice's nephew Sir Stafford Cripps, son of her sister Theresa, became a well-known Labour politician in the 1930s and 1940s. He served as British ambassador to Moscow during the Second World War and later as Chancellor of the Exchequer under Clement Attlee. (His daughter Peggy went on to marry Nana Joe Appiah, an African statesman and tribal chieftain who served as something of a founding father of the Republic of Ghana.) Margaret, yet another Potter sister, married the Liberal politician Henry Hobhouse, making Beatrice Webb an aunt of peace activist Stephen Henry Hobhouse and of Liberal politician Arthur Hobhouse. A dissonant voice entered the family after Katherine Dobbs, the daughter of Beatrice's youngest sister Rosalind, married the journalist Malcolm Muggeridge. In the early 1930s the young couple moved to Moscow, full of enthusiasm for the new Soviet system. Muggeridge's experience of reporting from the Soviet Union for the Manchester Guardian, however, made him highly critical of the Webbs' optimistic views of the Soviet Union. On 29 March 1933 Beatrice referred in her diary to "Malcolm's curiously hysterical denunciation of the USSR and all its works in a letter to me ..."  The following day she noted that the Guardian had printed "Another account of famine in Russia, which certainly bears out Malcolm's reports". Yet, wrote Muggeridge, Beatrice "went on wanting to see Kitty and me". On their last visit Beatrice showed her niece's husband a portrait of Lenin: "She had set the picture up as though it were a Velazquez, with special lighting coming from below". When Beatrice Webb died in 1943, the casket containing her ashes was buried in the garden of their house in Passfield Corner, as she had requested. Lord Passfield's ashes were also buried there when he died four years later. Shortly afterwards, the nonagenarian George Bernard Shaw launched an ultimately successful petition to have the remains of both moved to Westminster Abbey. They now lie buried in the nave of the Abbey, close to the ashes of their Labour Party colleagues Clement Attlee and Ernest Bevin. ... although it was Beatrice herself who put the 20th-century zeitgeist into its most concrete form, in the Welfare State, something in her remained sturdily Victorian to the very end. "What has to be aimed at is not this or that improvement in material circumstances or physical comfort but an improvement in personal character," she wrote. She believed that citizens who were given benefits by the community ought to make an effort to improve themselves, or at least submit themselves to those who would improve them. Beatrice Webb's papers, including her diaries, form part of the Passfield archive at the London School of Economics. The Webb Diaries are now digitised and available online at the LSE's Digital Library. Posts about Beatrice Webb regularly appear in the LSE Archives blog, Out of the box. 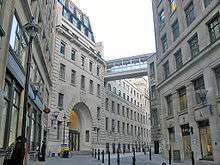 For a comprehensive bibliography, see Webbs on the Web, hosted by the London School of Economics. Our Partnership by Beatrice Webb (1948), Longmans, Green & Co: London, New York, edited by Barbara Drake & Margaret Cole at the request of Sidney Webb. Covers the period from 1892 up to 1911. The Diaries of Beatrice Webb (2000), edited by Norman and Jeanne Mackenzie; abridged by Lynn Knight. Published by Virago in conjunction with the LSE: London. Covers period from 1873 to 1943; the diaries are also available in typescript and manuscript facsimile at LSE digital library, Beatrice Webb's diaries. The Truth About Soviet Russia (1942). The introduction to Soviet Communism (1941), reprinted as a brochure with a preface about the Webbs by George Bernard Shaw, and the text of the 1936 Soviet Constitution, translated by Anna Louise Strong. ↑ Diaries of Beatrice Webb (2000), New Year's Day, 1901, p. 244. ↑ Our Partnership by Beatrice Webb, 1948, Longmans, Green & Co: London, New York, p. vi. ↑ Our Partnership by Beatrice Webb, 1948, Longmans, Green & Co: London, New York, p. vii. ↑ The Diaries of Beatrice Webb (2000), p. 53. ↑ The Diaries of Beatrice Webb (2000), 21 September 1894, p. 186. Kitty Muggeridge and Ruth Adam, Beatrice Webb: A Life, 1858-1943, 1967, London: Secker & Warburg, pp. 151-156. ↑ Potter, Beatrice, The Co-operative Movement in Great Britain, London: Swan Sonnenschein & Co., 1891. ↑ "A Timeline of Events in Modern American Labor Relations". Federal Mediation and Conciliation Service (United States). Archived from the original on 2 August 2010. Retrieved 31 January 2013. 1891: The term "collective bargaining" is first used by Mrs. Sidney Webb, a British labor historian. ↑ Woman's Hour discussion on 1909 Minority Report, BBC Radio 4. ↑ Wallis,Ed (editor). From the Workhouse to Welfare Fabian Society and Webb Memorial Trust, 2009. ↑ Jose Harris, "The Webbs and Beveridge", in From Workhouse to Welfare (Fabian Society, 2009). ↑ Quoted in Muggeridge and Adam, p. 168. ↑ Muggeridge and Adam,Beatrice Webb: A Life, 1967, p.225. ↑ "Current Topics". The Economic Journal. 43 (169): 174. 1933. Retrieved 24 October 2016. ↑ See, e.g., Conquest, Robert, The Great Terror (1968 and subsequent editions). ↑ Archie Brown, The Rise and Fall of Communism (2009), p. 122. ↑ See diary entry - 28 August 1936, pp. 330-336 of archived typescripts. ↑ Diary entry - 8 March 1938, pp. 36-37 of archived typescripts. ↑ Hochschild, Adam, To end all wars : a story of loyalty and rebellion, 1914-1918, Boston: Houghton Mifflin Harcourt, 2011, p. 277, ISBN 0618758283. ↑ See Malcolm Muggeridge, Chronicles of Wasted Time: Pt 1, The Green Stick, London: Fontana (pbk), 1981. Chapter 5, 'Who Whom? ', pp. 285-299. Also his Winter in Moscow (1934). ↑ The Diaries of Beatrice Web (abridged, 2000), p. 514. ↑ The Diaries of Beatrice Webb (abridged, 2000), p. 514. ↑ Malcolm Muggeridge, Chronicles of Wasted Time: Pt 1, The Green Stick, London: Fontana (pbk), 1981. Chapter 4, 'The Pursuit of Righteousness', p. 165. ↑ Kitty Muggeridge & Ruth Adams, Beatrice Webb: A life, 1858-1943, London: Secker & Warburg, 1967, p. 177. "Archival material relating to Beatrice Webb". UK National Archives.